The 2017 Fullcourt Press Spring Leaguecontinued play this past Sunday (March 12th) at Artesia High School (Lakewood CA). Selected games were again live-streamed by Baller.tvand all games were video-taped by MOSLive.com. 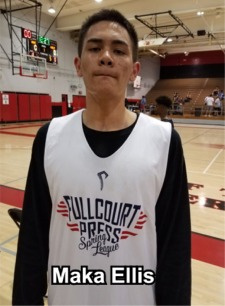 Ronnie Flores (Ball is Life) was among the scouts in attendance and Highlight Sports Productions (http://www.highlightsports.xyz) was in the house shooting video highlights. Our first report published on March 7th (http://www.fullctpress.net/17-fcp-sl-wk-1-report.html) featured several opening day standouts like Josh Phillips, Tony Goodwin, Walter Talley, DeSean Allen-Aikens, Hunter Woods, JJ Watson, Jacob Eyman, Makani Whiteside, Mike Mensah, Shemmar Morrow, Payton Moore and Kyle Owens. This report will highlight several more that stood out last Sunday. Skilled SF with very nice range on his polished jump shot possesses high basketball IQ and is an underrated rebounder. Active on the boards, I love the way he competes on every play. Versatile player is a great kid from a terrific family. Only a matter of time before this son of former NCAA Division I volleyball standouts adds a little more bounce to his step. 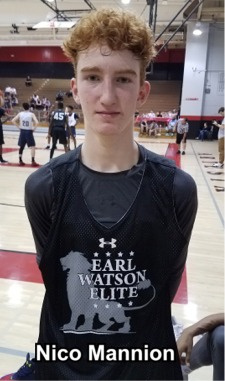 Son of former NBA player Pace Mannion is a terrific high-octane scoring combo with excellent athleticism to finish in traffic at the rim. Range on jump shot is what you would expect from a future high-major guard and his court instincts are of the champion variety! Arizona, Utah (dad’s alma mater), USC, UCLA, Arizona State and Utah State among schools offering so far. High-scoring big guard with a great perimeter stroke and fantastic grades (3.9 GPA/honors classes). Averaged 25 ppg this past high school season with a season-high 52 points vs. Desert Oasis. Ellis was named co-MVP of the Southwest League (sharing that honor with 2017 McDonald’s All-American Charles O’Bannon Jr.). 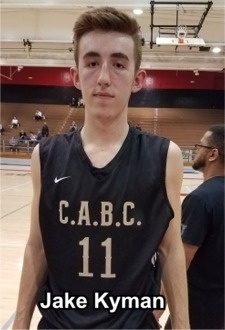 Stanford, Butler, Virginia, Creighton, Nevada, St. Mary’s, TCU, Santa Clara, Rice and UNLV are among the growing number of programs interested in this flame-thrower. Very long pogo-stick is a great 2 sport-athlete (also plays football). Outstanding physical ability allows him to be a formidable rebounder and shot-blocker and he is a terror finishing in transition. Jones missed his HS sophomore season due to CIF eligibility issues. Built like former Fontana HS/Oregon State/NBA forward Corey Benjamin. Sharp-shooting off-guard has deep range on his perimeter shot. Assertive wing with strength can finish through contact on his drives to the hoop. Strong and aggressive young PF is very physical with nice “catch and score” ability on the block. Nice potential. Tough WG doesn’t back down to opponents and has an accurate 3-point shot. Ultra-talented young playmaker with terrific feel for a lead guard can hurt opponents with his pin-point passing and vision as well as his accurate perimeter stroke. As they say in the stock-market: Now is a good time to buy! Older brother BJ plays at La Mirada HS. Very underrated junior PG that is crafty with the rock and reads defenses very well. Savvy young point plays with poise. Recently offered by Montana. Strong point guard doesn’t turn it over and is a tough defender. Combo-guard with a smooth 3-point stroke. Athletic guard is a capable defender. Tough hard-nosed PG can make buckets. Hard-working combo-forward is active on the boards. Strong combo-guard is effective getting to the cup off the dribble. Quick PG with a nice pull-up jump shot. Well-built wing defends well and has range to the 3-point line. Young scoring guard with lots of promise. 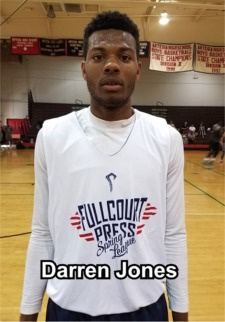 * Second of three reports about the 2017 Fullcourt Press Spring League.